Hello. I'm Donna Rose Gardner with Honey In The Heart Ceremonies. I'm here for the two you by bringing my heart into performing your ceremony with warmth, a sprinkling of humor and honey in the heart that naturally flows with your love.I welcome your ideas in addition to what I provide, to ensure that your ceremony reflects the unique love that the two of you share. Many couples have told me how much they appreciate my flexiblity with creating a ceremony that is a truly a reflection of the two of them! In 2008 I received my ordination from the Center for Sacred Studies. In 2009 Honey in the Heart Ceremonies was founded. My experience with performing hundreds of ceremonies over the past ten years has leant to my expertise and creative ideas. 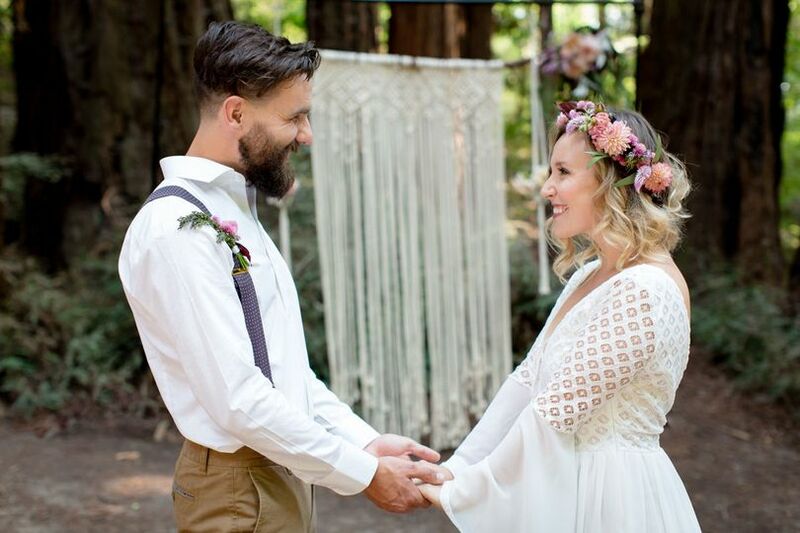 When providing guidance for your elopement, intimate ceremony or large gathering of friends and family you will have a ceremony that embraces everyone present with love and warmth. People from all beliefs, cultural/ethnic backgrounds and LGBTQ couples are embraced in my life. Ensuring that your expectations are met is something that I take very seriously. 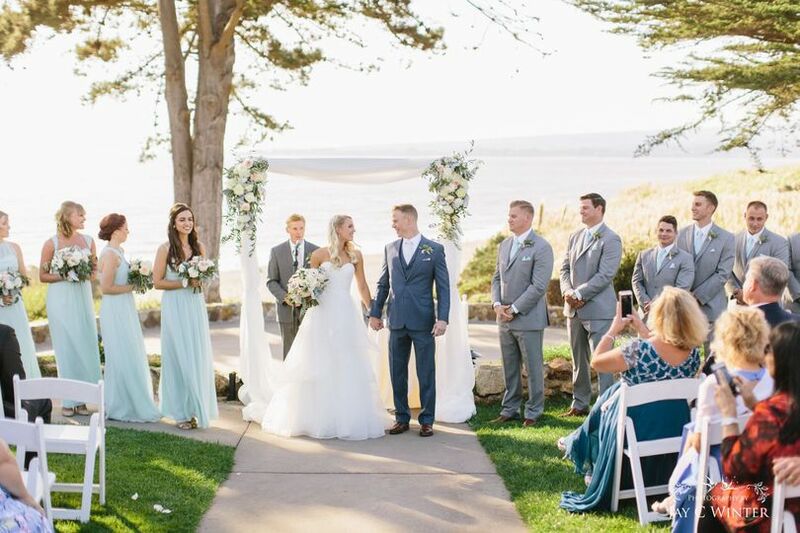 I pride myself in working with couples to make sure that both the ceremony planning process AND the day I say the words, “ Family and Friends, I now introduce to you as a married couple” are an incredible, memorable experience. 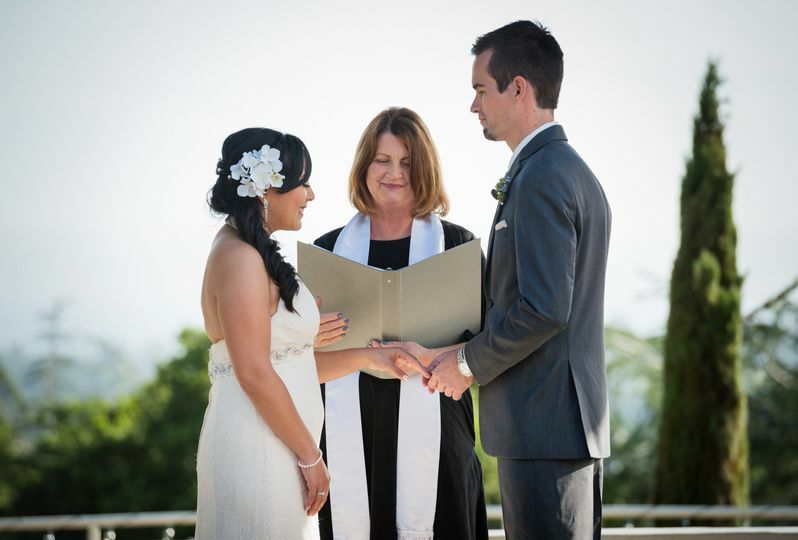 Services Offered: The ceremonies I perform range in tone from a civil union, interfaith, non-religious, and spiritual. I also perform partnership and vow renewals. If you want me to be present at your wedding rehearsal-I'll be there. I also bring handkerchiefs for the two of you just in case there's a few tears that come from the wellspring in your hearts. 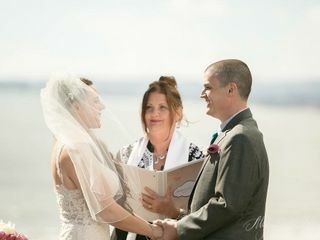 I offer a selection of pre-written ceremonies. 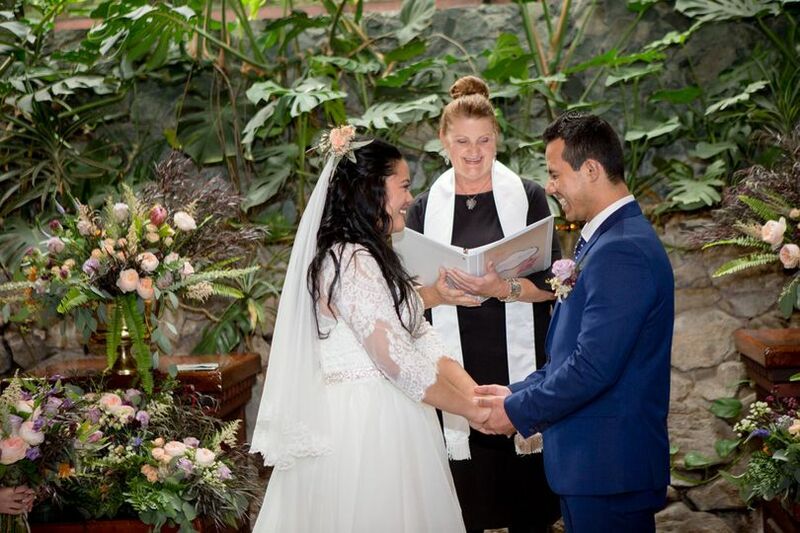 If your desire is to have a ceremony that’s filled with an honest simplicity that allows you to be fully present in the moment then one of my pre-written ceremonies is the perfect choice. You can choose from a variety of options that are offered. Everytime I perform a pre-written ceremony it's like the first time and the words flow from myheart. 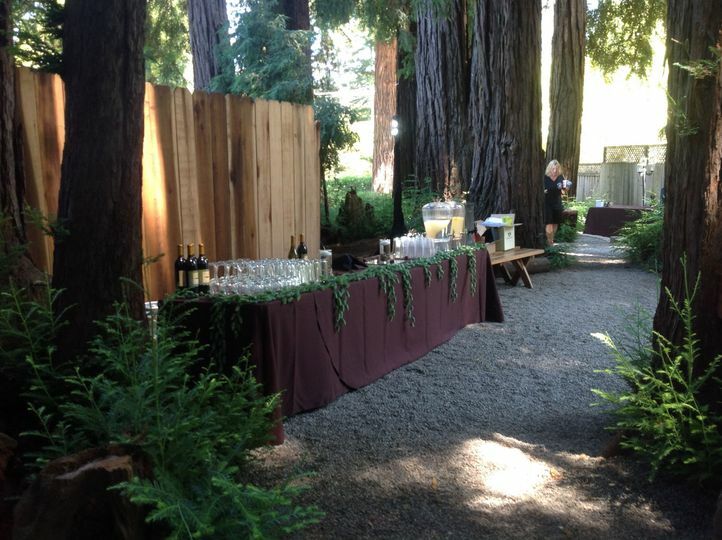 Or, we can co-create your ceremony. Many samples from the beginning to the ending words are offered to you. 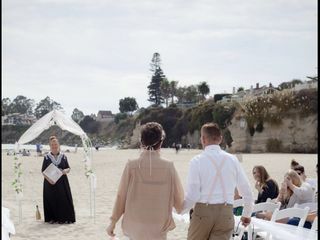 Additional components such as hand fasting, a sand ceremony or other ideas can be included. We spend time together talking in depth about your love so that your ceremony will truly be as amazing as the love that the two of you share. 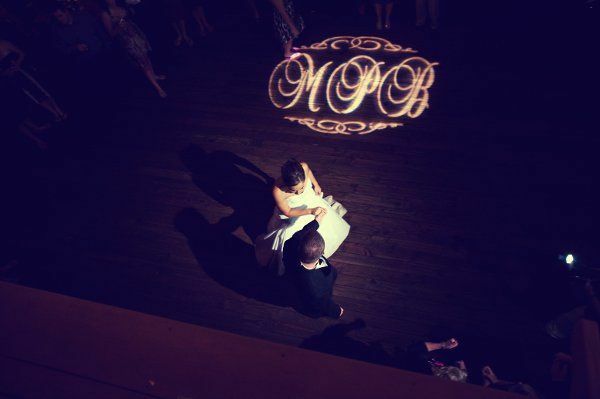 I create your love story that's woven into your ceremony! Let's chat together soon about the love that the two of you share and what I can do to help you with crossing the threshold inoto the deeper commitment in marriage that you are entering into. You can call, text, email and/or have SKYPE, ZOOM or Facetime conversation with me. 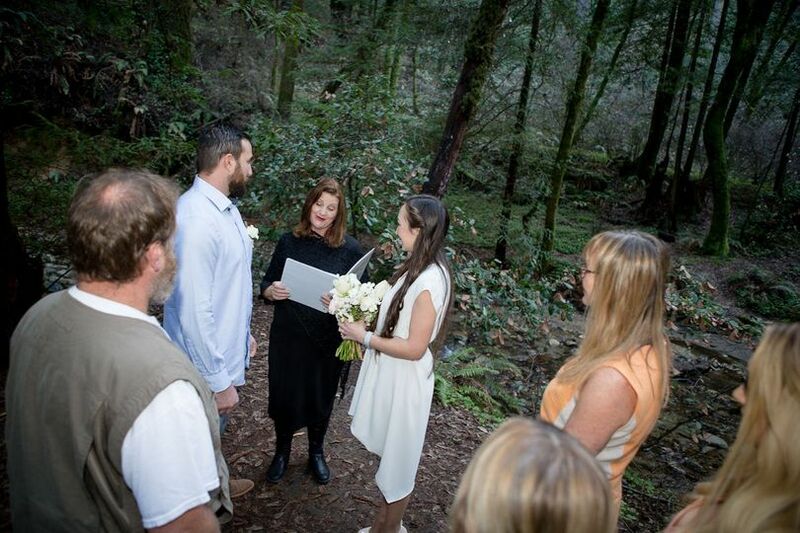 Elopement ceremony at ventana, big sur overlooking the pacific ocean.  We are so grateful and blessed to have found Donna Gardner when searching for the perfect officiant for our wedding ceremony. 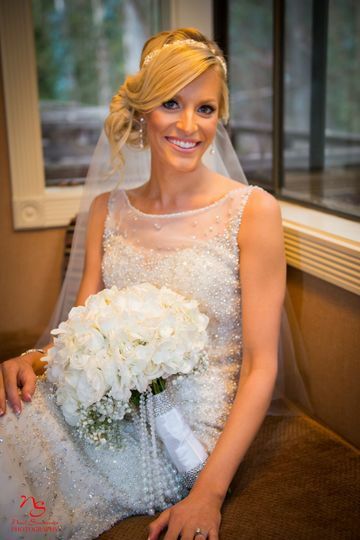 After discovering her on the WeddingWire and reading her reviews we knew she was special. We sent her a message via WeddingWire and she responded within 24 hours. We set up a phone call and once we had our phone interview with Donna it further confirmed that she was "the one" within the first few minutes of our phone chat. 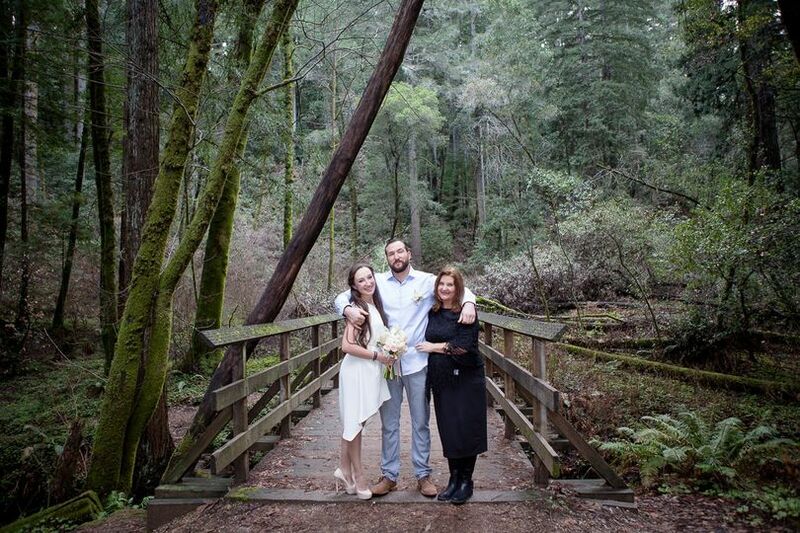 We knew she was the one to help create and lead our ceremony for our special day. Donna has this way about her that instantly puts one at ease and allows one to feel an immediate sense of calm and peace. Donna was super responsive to our emails. 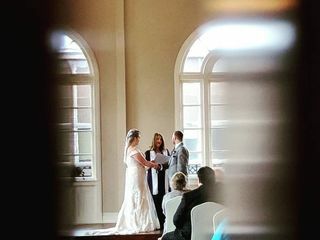 She sent us documents of sample vows, readings, and ceremony layouts which allowed us to not feel overwhelmed and rather find excitement with the whole process as it allowed us to be fully able and capable to create and carry out our vision from a great starting point. We met with her in person a couple months before the ceremony where we were able to finalize our vision for our special day. Meeting her was a magical event that I will always cherish in my memory. Sometimes we get caught up in the trivial details of wedding planning and sometimes forget the main purpose of what we were set out to do. We knew after meeting with Donna that she was our anchor for this whole day and we put trust in knowing that. 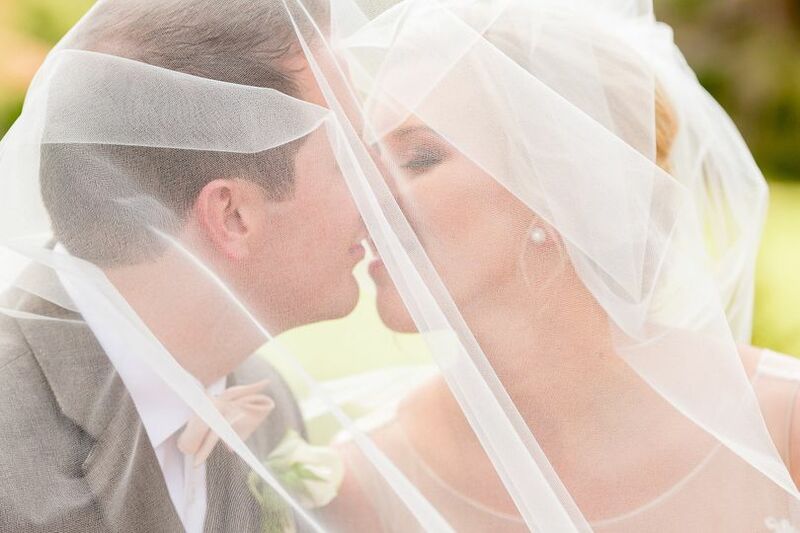 The ceremony was everything and more that we had hoped for. 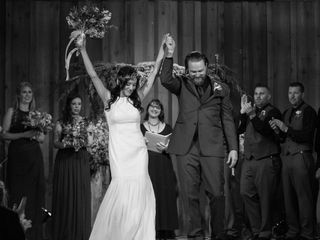 Our family and friends to this day keep talking about how our ceremony helped to rekindle their love for themselves and each other. It is a vibration that is still being carried out in the ether. Thank you so much Donna for being a beacon of light. You truly have a gift to meet people where they are at and with your strong intuition and genuine real down-to-earth nature you are able to see the light in others and provide the space to let that light shine forth into the world. Thank you. So much love and respect, LOVE. 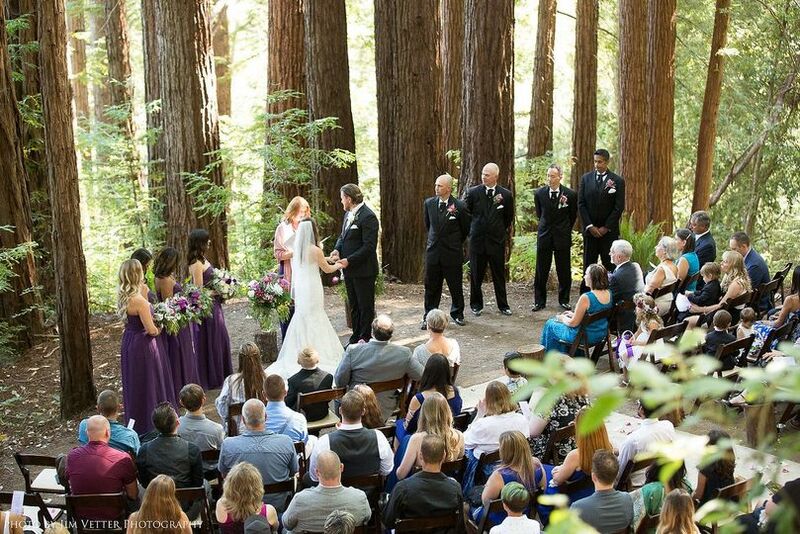 With the Redwood Trees forming a circle around us, we truly were in Nature's Cathedral. 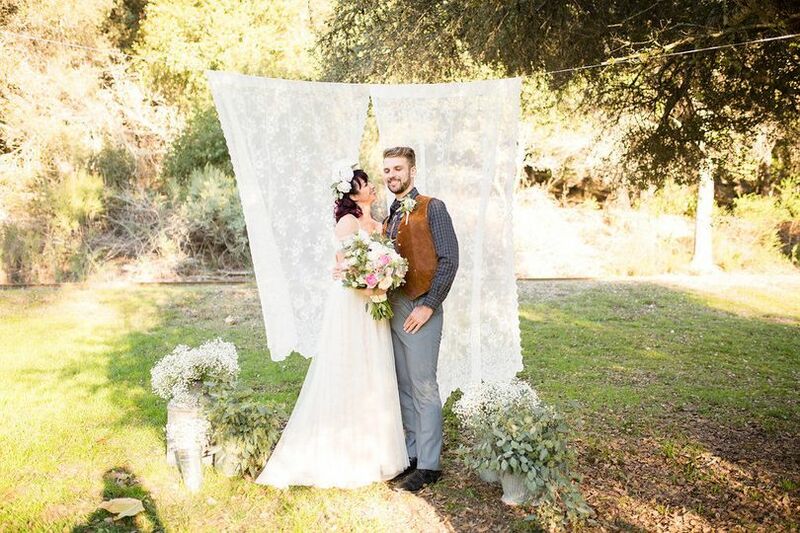 The love and intention that you brought into your ceremony created such a beautiful energetic where Love was present for all of us gathered together to celebrate the two of you. Thank you for bringing me into your relationship and letting me help you move into deeper commitment with each other. Professions, warm, caring, and she really talk from her heart. Donna was very warm and understanding. It couldn’t been any better. We are very thankful for such a beautiful experience. As soon as I talked to Donna I knew I was lucky to have her be part of my ceremony, she was more than professional, she was a sweet caring woman who I could tell was doing this more as a service to god than for a financial gain and that meant the world to me. On top of that, when my chairs weren’t delivered and sound set didn’t show up, I thought I might lose it but she was a friend to me and talked me through it. A lot of my friends and family complimented me on the things she said and how her words really made everybody feel like laughing and crying happy tears. She really brought it out in everyone and made the day special. 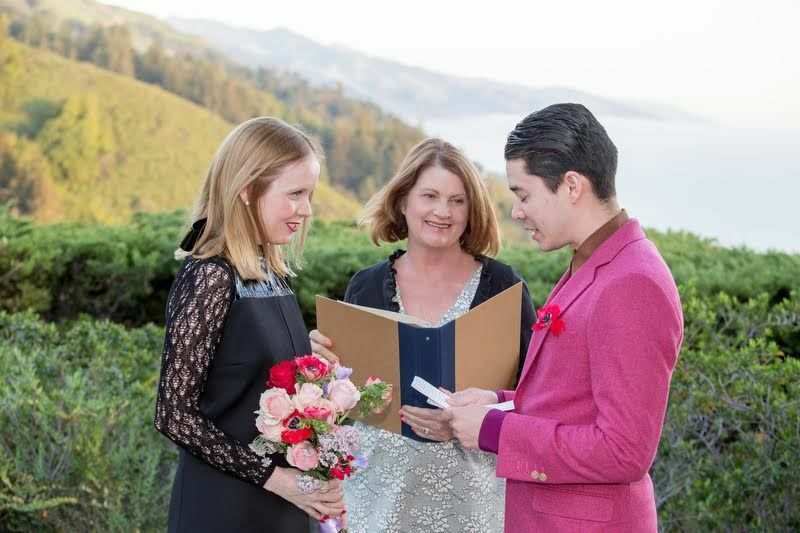 I couldn’t have asked for more from an officiant. I also really liked how she gave me options on what we wanted her to say. It really made it easy and made it feel more personal. I’ll always remember Donna and be forever greatful for all she did for my husband and I. Thank you so much for your kind review! 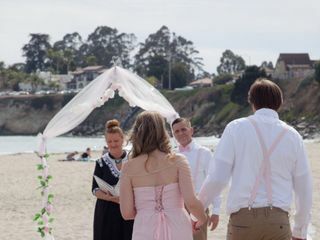 It truly was a joy bringing you together as husband and wife, standing on the beach with your family and friends. 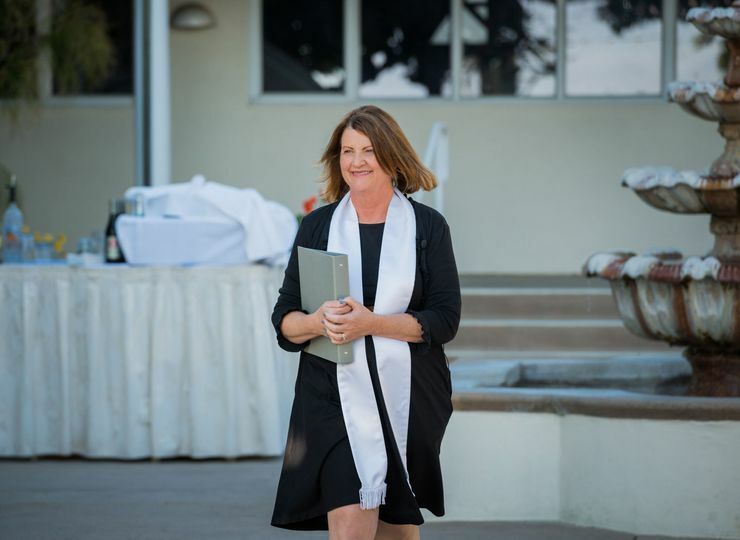 I have known Donna Rose Gardner from many, many years back during her start as a wedding coordinator for distinguished establishments in the Santa Cruz area. 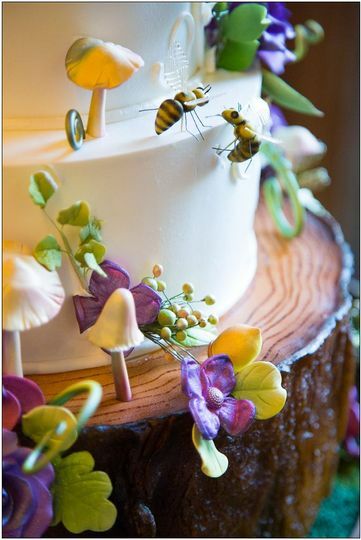 It is of no surprise she chose to be a wedding celebrant. 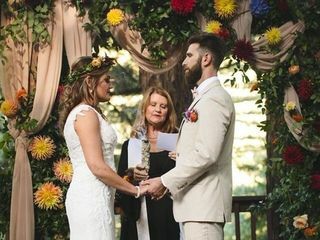 Donna has a unique gift of connecting to her clients and being a part of their special day. Always a joy to see her. 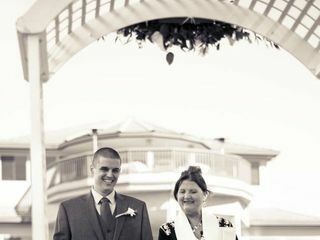 Donna&apos;s wedding ceremonies she creates with her couples are some of my favorite! They are a joy to experience as she engages not only the couple but the guests as well.